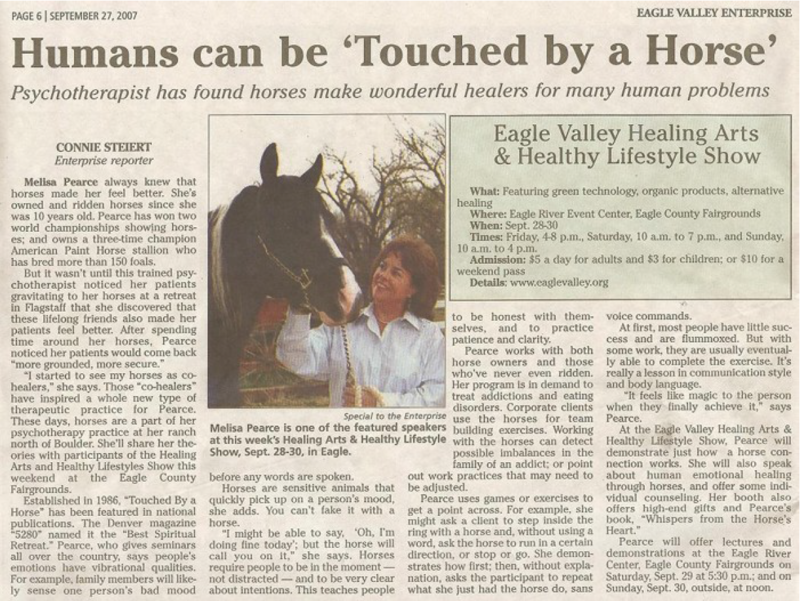 Melisa Pearce and Touched by a Horse in the News! 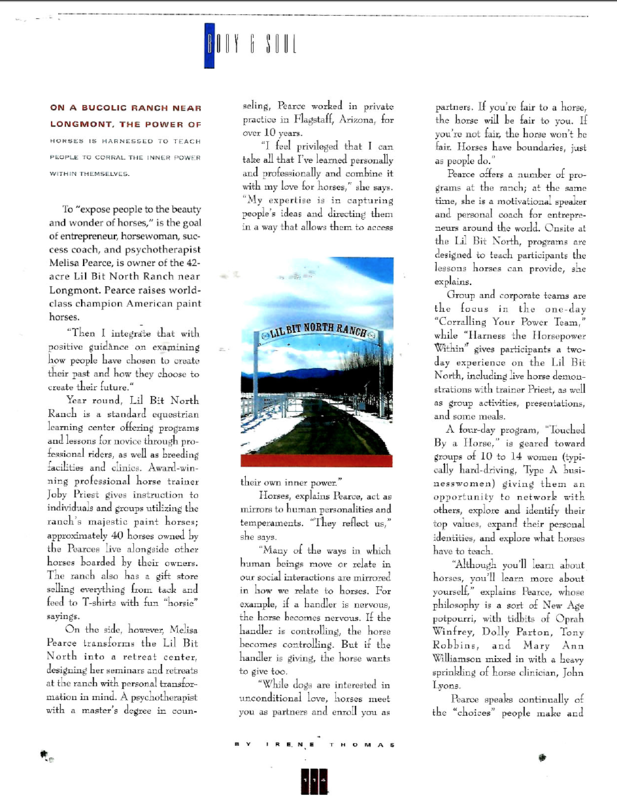 Click on any publication image to open a PDF of that article in a new window. 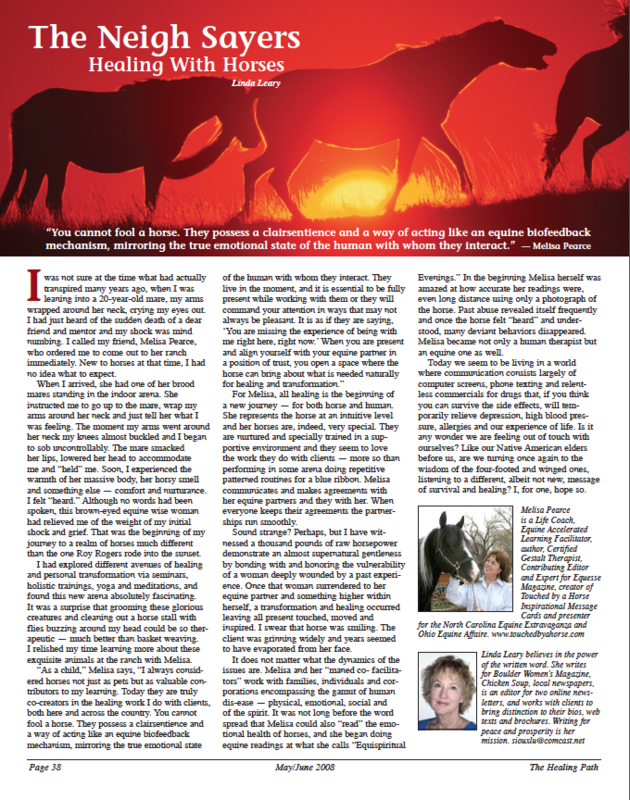 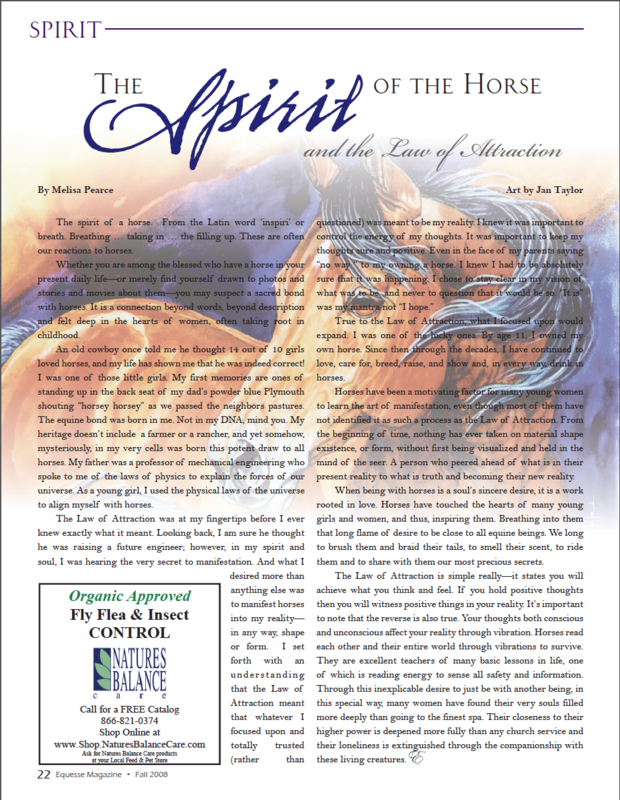 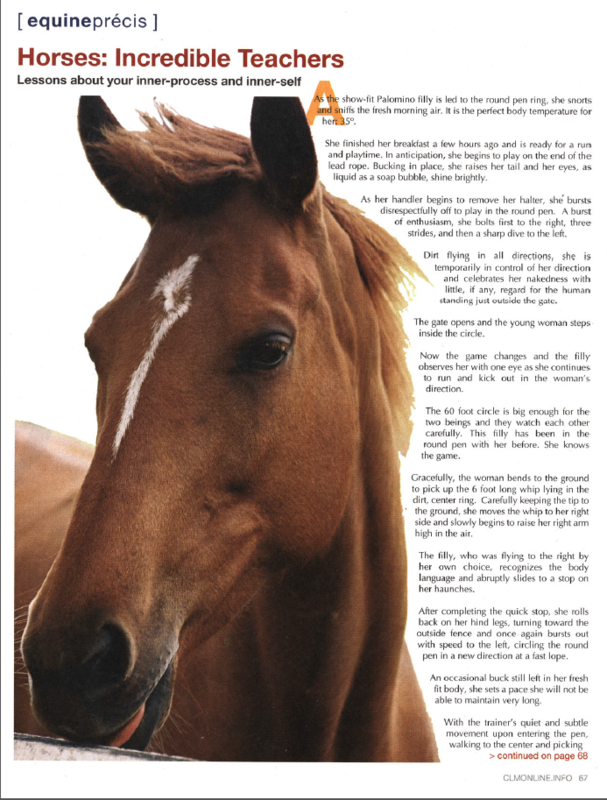 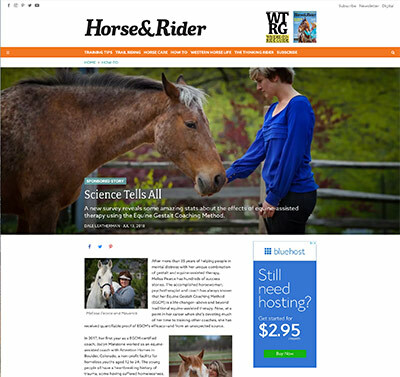 Articles about Touched by a Horse, Lil Bit North Ranch, and Melisa Pearce. 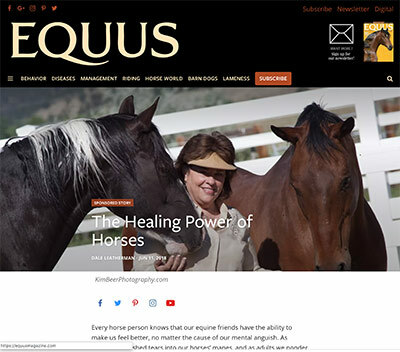 Learn about the Healing Power of Horses. 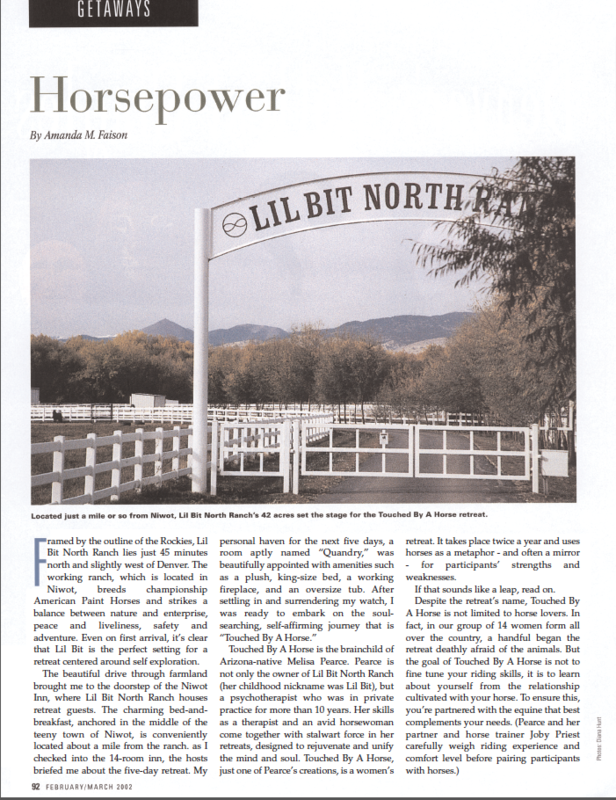 Published 2018. 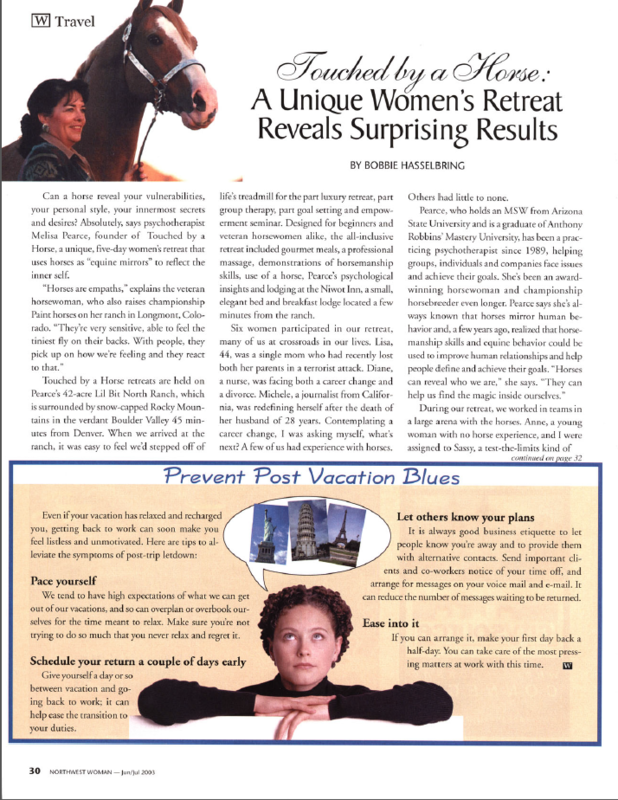 Learn about the recent scientific study of the EGCMethod! 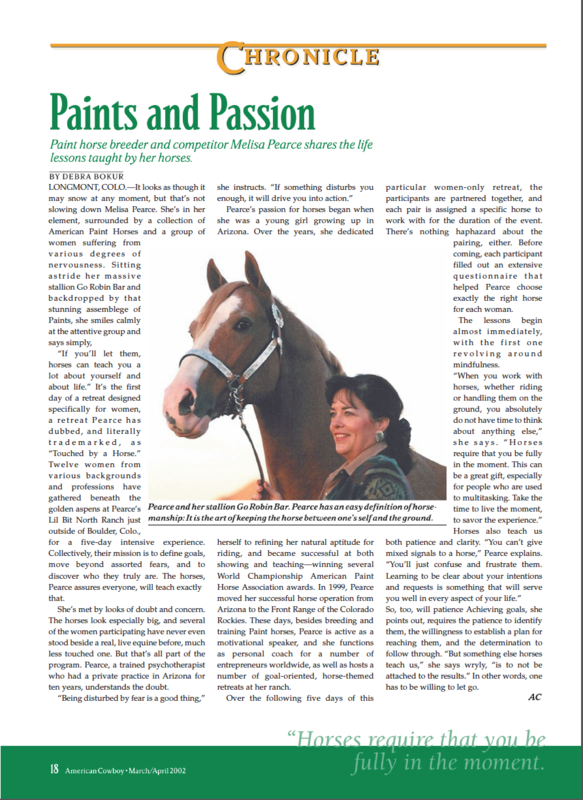 Psychotherapist Melisa Pearce users her Paints in a novel way — to teach personal growth skills. 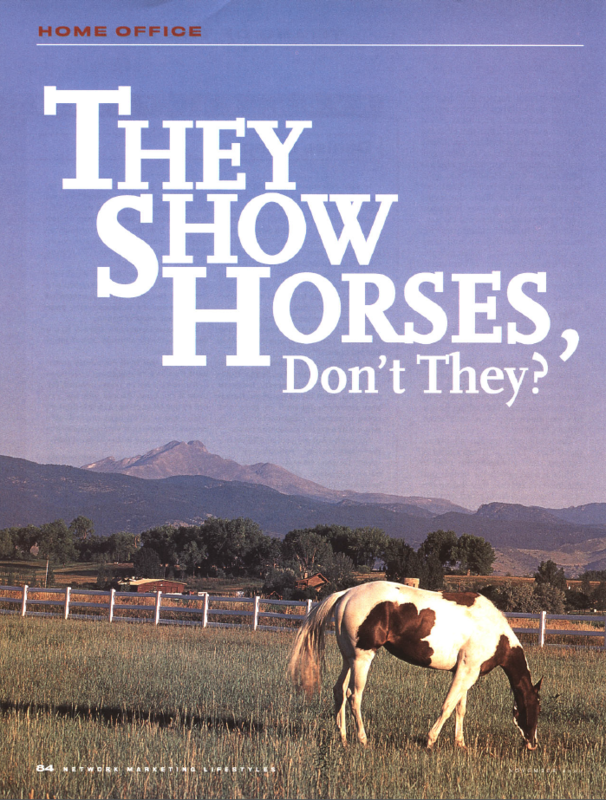 They Show Horses, Don’t They? 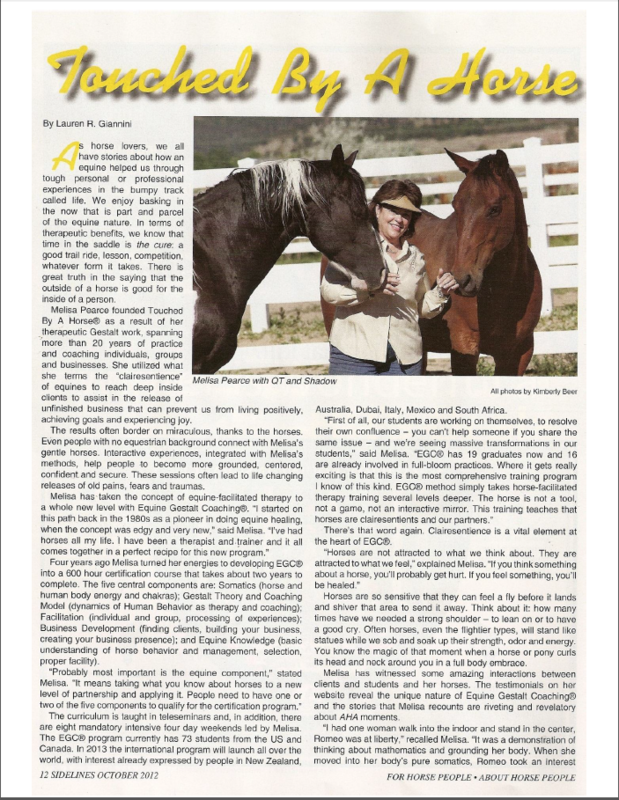 On a Bucolic Ranch Near Longmont, The Power of Horses is Harnessed to Teach People to Corral The Inner Power Within Themselves. 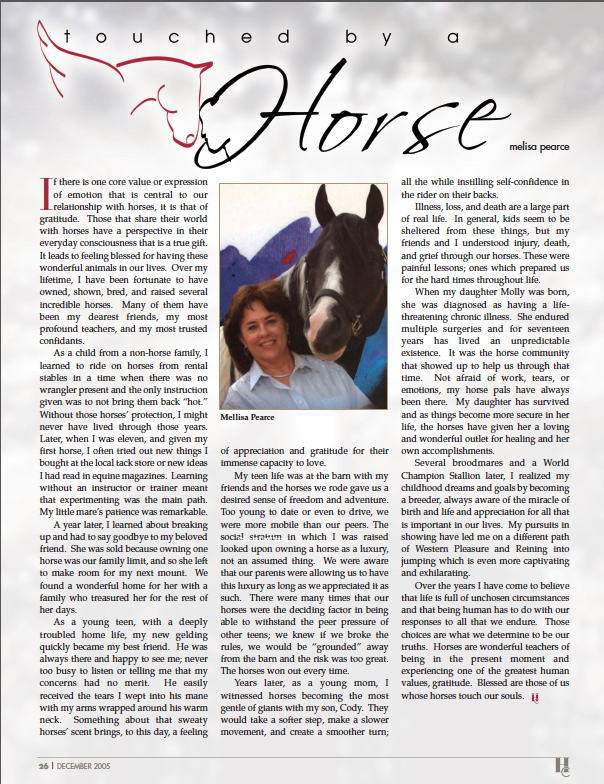 Paints and Passion: Paint horse breeder and competitor Melisa Pearce shares the life lessons taught by her horses.